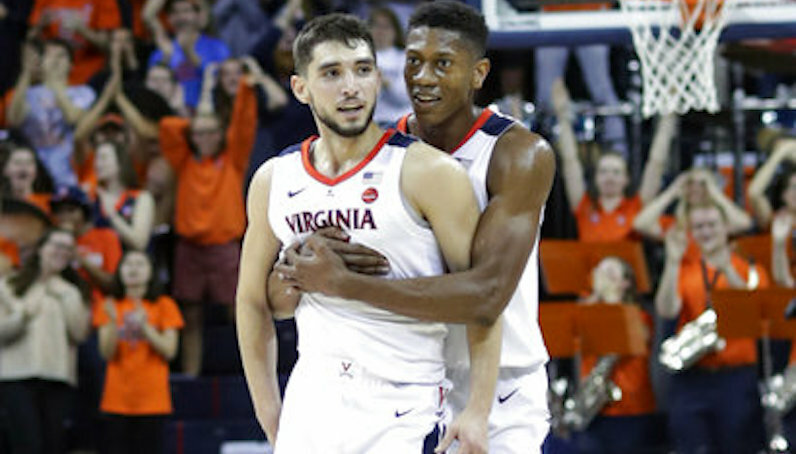 Following a national-championship winning season, Virginia redshirt sophomore guard De’Andre Hunter and junior guard Ty Jerome announced they will enter the 2019 NBA Draft. Both players were named to the All-Tournament Team at the Final Four, along with teammate Kyle Guy, who was named the Most Outstanding Player. This season, Hunter was named ACC Defensive Player of the Year and earned Second Team All-American honors after he averaged 15.2 points and 5.2 rebounds while he shot 52 percent from the field and 44 percent from 3-point range. Hunter is projected to be the No. 5 pick by the Atlanta Hawks in ESPN’s latest NBA mock draft. Jerome will enter the draft after he posted career highs in points, rebounds and assists per game this season with 13.6, 4.2 and 5.5, respectively. ESPN projects the New Rochelle, N.Y. native to be selected No. 3o by the Milwaukee Bucks.